The IOTC Science Purchase 78TELE15 is one of the telescopes from the wide range of handheld telescopes from IOTC USA. It is designed for beginners, mostly student users who are starting to study the world and surroundings. It is a compact telescope that easily retracts, making it easy to carry in your bag. 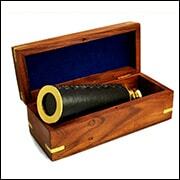 Looking at it, the telescope looks premium with a shiny brass construction. Compared to other telescopes on the market, the IOTC Science Purchase 78TELE15 is affordable. You can, therefore, buy this unit for your children who need to view the world around them. What is the IOTC Science Purchase 78TELE15 Telescope? 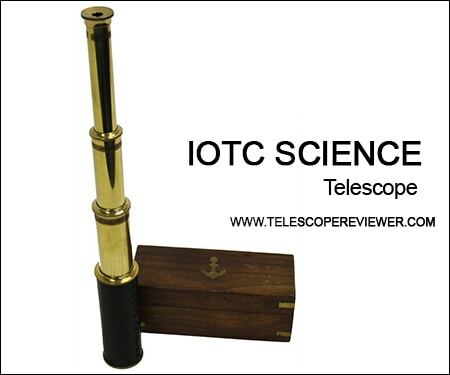 The IOTCS Science Purchase 78TELE15 Telescope is an entry-level telescope with a retractable design. It mostly comes in handy when you are observing wildlife and birds from a far distance. When you are not watching wildlife, you can adjust the length of the telescope to accommodate distant objects. It features a golden brass finish with leather detail on one end. The brass construction makes it durable while the leather detail makes it comfortable to use. This telescope was launched in 2016. The 15-inch telescope has found favor with most users. According to those who have used it, the telescope just requires you to slip in the eyepiece, adjust the length based on the distance and start viewing. It offers a nautical pirate scope, making it ideal for sailors and adventurers. To get a good discount, buy this telescope online. You will get prices between $10 and $15. For almost a year since the telescope launched in 2016, it was retailing above $25. The price was significantly reduced, but the quality of the products released is still the same. There are sellers online that offer free shipping, but their prices are on the high end of the range above. You can also buy the telescope from the manufacturer, that is, India Overseas Trading Corporation, where it retails at the same price range. It is available on Ebay, Walmart and other online sellers. Some sellers, however, still sell the telescope at more than $20. This being an entry-level telescope, there are only new telescopes on sale. When you are using this telescope for the first time, it is relatively challenging to focus. However, with good focus, the telescope delivers clear and bright images for distant objects. It is offered with one eye piece, delivering more than 50x magnification. While looking into the telescope, you will see four picture sections, letting you view large objects. However, a nautical scope is still low for those who want to study the universe, planets and stars. In fact, the unit was designed for kids. This means that you cannot use it for astrophotography. However, if you love nature, you will love the quality of images this unit delivers, with good focus. While the telescope retracts with ease, the knurls on it makes it relatively challenging to clean. This is especially true if you use it every day. 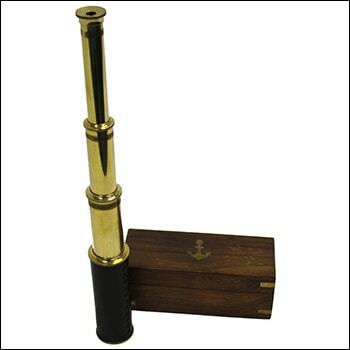 The brass material maintains the shine of the telescope while the wooden box keeps it safe when not in use. When the eyepiece has been slid into the telescope well, focusing becomes easy. This being a telescope designed for kids, it is bound to get dust a lot. Granted, you will need to clean dust regularly from the unit. The eyepiece and lenses do not require regular wiping unless they get really dirty. At such a point, blowing the dust with an air can is advisable. When wiping is needed, a camel brush should be used. Before collapsing the telescope for storage, it is important to wipe the body of the telescope to ensure dirt does not build up on the knurls. Besides the wooden box and the eyepiece, this telescope is not offered with any other accessories. However, the wooden box is like an additional gift as many high quality telescopes are not offered with a storage box. Users can buy extra eyepieces that fit in this telescope to enhance its images and its scope. With a good eyepiece, you can see far. The telescope is handheld, but you can still buy a stand to enhance its usability. A stand comes in handy when you use it at the same space every day. With the purchase of this telescope, you are offered a 1-year limited warranty. The warranty covers manufacturer defects. However, the terms and period of warranty differs between sellers where some offer less than one year warranty. According to users, the product will outlive the warranty thanks to the brass construction. Some units, however, could not retract after a few months of use. The IOTC Science Purchase 78TELE15 is a handheld entry-level telescope that you can gift your kids with. It is easy to use and gives a great scope for a kids’ telescope. 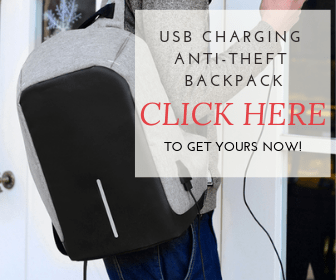 The retractable design makes it easy to carry while its brass and leather details make it long lasting. At only one pound, there is nowhere you cannot carry this telescope. Looking at it, the telescope bears a shiny gold finish. It does not easily scratch, it is corrosion and rust resistant and, therefore, maintains its shine for a long period. Have you used a kids’ nautical scope telescope before? Or have you used this telescope? Kindly share with us to help someone choose the best telescope for their adventures.